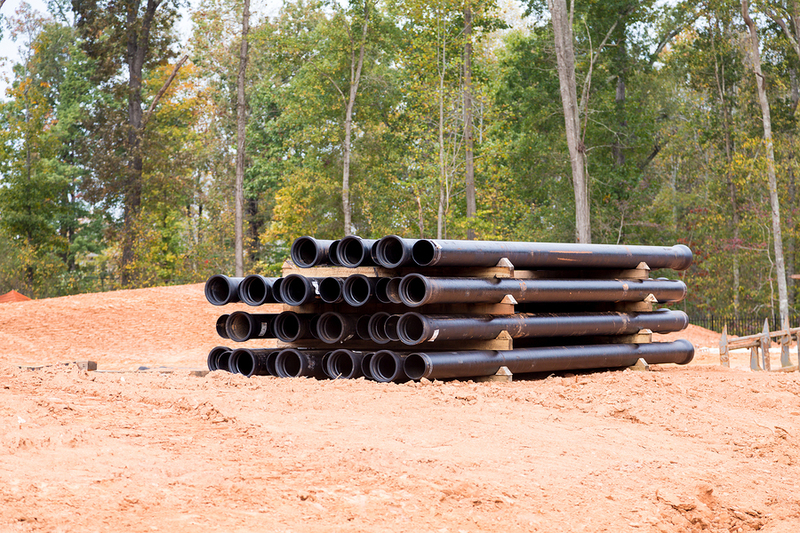 When choosing the right home for your needs, as well as your family, one of the best decisions you could make is going with a septic system over municipal sewer and water. However, even though septic systems are increasingly popular, it may be difficult to find quality septic tank installation near you. In fact, many New York septic companies only pump out septic tanks, leaving a lot to be desired regarding repairs, replacements, and service. 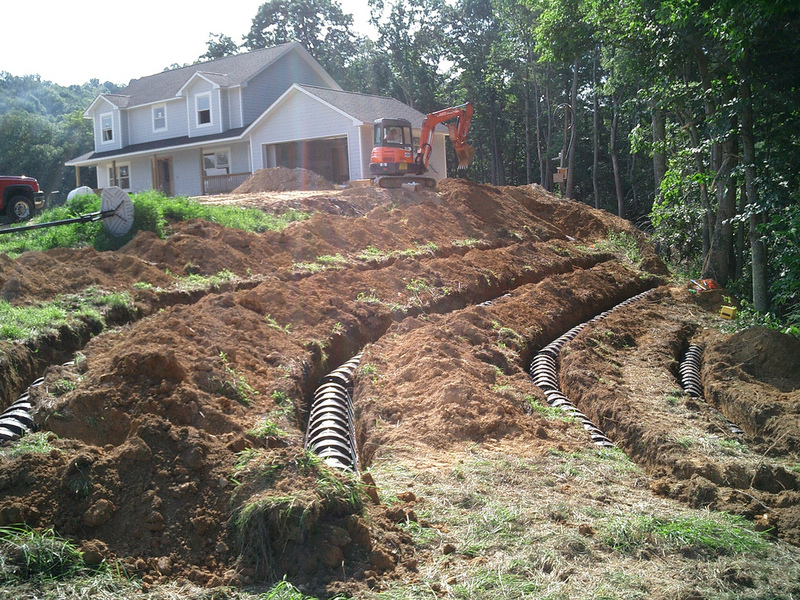 Whether you are in Orange County, NY or Ulster County NY, we can provide all your septic installation and repair needs. You should always speak with a professional and experienced septic contractor before making any final decision when you install or repair your septic system. Our septic tank solutions take your household waste and take care of it in a completely natural way using healthy bacteria. Our service technicians are professional with over a decade of experience in the septic service field. By using a experienced professional septic installation company near me (and you! ), you can be sure that your waste is taken care of. It's that peace of mind that is needed. This is not septic repair is something that you want to worry about! Before you give up on finding a septic contractor you can trust, call SEPTIC INSTALLATION PROS. We don’t waste time pumping out septic tanks like everyone else. We go above and beyond, going the extra mile to give you the septic services you need. By offering all forms of septic installation and repair services, your septic systems will work great for longer. If it is leaking, broken, or needs to be installed the right way, SEPTIC INSTALLATION PROS is there for you each time you need us. We keep your septic installation cost as low as possible without compromising on quality. 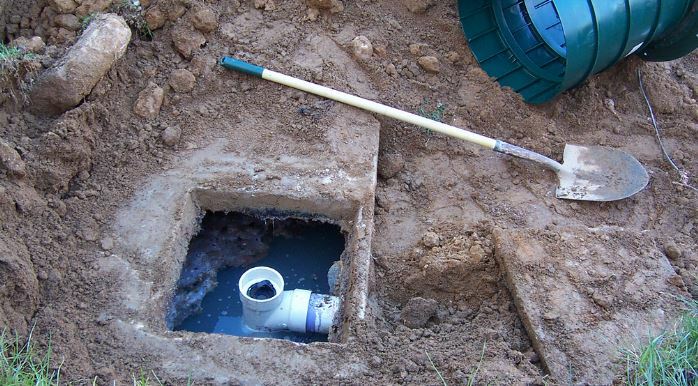 When you need the best in local septic system repairs and installation, you need to choose us. Without hiring an expensive construction crew, we’ll give you the most affordable pricing in septic excavation services. Less reputable septic services companies may want to replace your septic tank even when you don’t need to. And although there are legitimate times when replacing your tank is the best option, it should never be the first one on your list. In fact, a reliable septic tank services company should try everything in their power to keep you from having to come off the hip for a brand new tank. Although many aspects of your septic system can be replaced, if the drain field has stopped draining, it’s probably time to stop using it and replace it with a new tank. If your tank has stopped draining, has pushed your waste water back into your home, or has begun flooding your yard with hazardous wastes, it’s probably time to replace your old tank. We’ll always diagnose the problem first to see if the tank itself can be reused or not, and give you the best pricing possible on repairs and new septic tank installations. Strange or “bad” odors around plumbing fixtures or outside your home. Pooling water in your yard or “soggy” grass. Toilets backing up when you flush. Sinks, showers, and other fixtures not draining properly. More than one toilet is failing to flush at the same time. And other out of the ordinary problems. Our team is experienced and knows what to look for in diagnosing your septic problems. We’ll find the problem quickly and efficiently and give you a solution that works best for your needs and budget. We’ll never make you go for an expensive repair or replacement that you don’t need; only the best solution to your biggest problems. Although concrete septic tank cost for installation services are higher than with plastic septic tanks, concrete tanks are the more popular choice for homeowners. Even though the initial price may be higher, concrete septic tanks have a lot to offer. 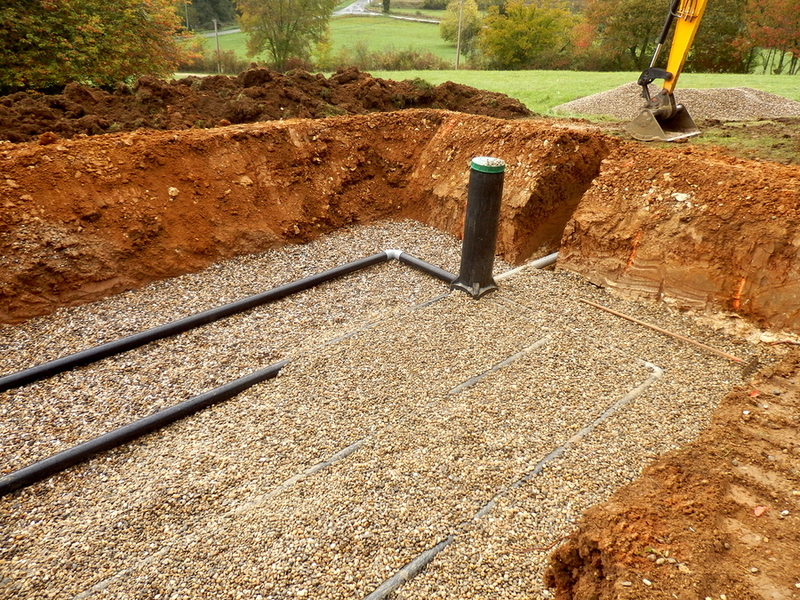 Concrete septic can hold far more levels of effluent than other septic tanks, especially when compared to plastic tanks. Unlike tanks made from lighter materials, you never have to worry about concrete separating from the ground or floating as the heavy concrete holds it in place. The durability of concrete means that your tank is going to last many more years than more brittle lighter composite materials will. Best of all, you will never have to worry about being unable to use a concrete septic tank; concrete tanks have the legal approval to be employed in all 50 states, and some building zones even require it. When you need to make certain that your septic tank is going to keep working for you, just have us install your brand new concrete tank. Although they aren’t nearly as durable as concrete septic tanks, poly septic tanks (short for “polyurethane”), do have their place. Plastic septic tanks are made from a lightweight, yet durable, plastic that gets the job done at a fraction of the price of concrete septic tanks. If you’re in the market for a new septic tank, don’t have a large family or perhaps you are only planning on being in your home part of the year, then choosing to have a poly septic tank installed may be the smart choice for your specific needs. Although many homeowners love concrete septic tanks, poly septic tanks do have some core advantages that shouldn’t be ignored. If you’re looking for septic tank installations but need to keep an eye on your budget, then plastic tanks are for you. Not only do you have the advantage of saving money on the septic system unit itself, which costs less than concrete systems, but they install faster and easier, saving you money on time and labor. Unlike concrete systems, poly septic tanks are much more resistant to cracking, meaning that in most cases they can last just as long, if not longer, than concrete units. Because they don’t have metal or concrete components, poly septic tanks will not rust, and they will not corrode. Best of all, plastic remains water-tight, giving it a superior seal than with heavier septic tank types. Interestingly enough, one of the most important aspects of your personal home septic system isn’t the type of size of the tank that you have installed, but the septic leach field. Unfortunately, the leach field must be installed correctly, or else it is going to cause a slew of problems. Your septic leach field is responsible for allowing the safer waste waters from your home to slowly, and intentionally, seeps out from the piping system to become naturally purified by the rocks, gravel, or soil that surround it. This leaves behind only the harmful, more toxic, wastes behind, allowing your safer wastewater to permeate out, allowing your tanks to continue operating for longer, as well as even possibly helping nourish your yards and plants without the need to have expensive fertilizers or harmful toxic synthetic nutrient treatments. However, not all septic companies are created equal. Some just don’t install your leach fields the way they should, taking shortcuts and potentially allowing your septic system to poison sources of groundwater or even streams. 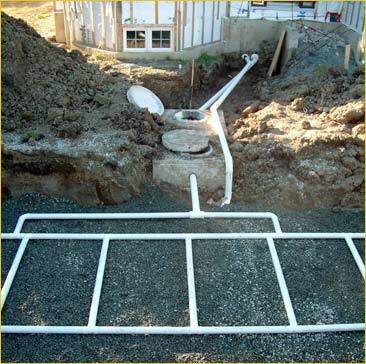 When that happens, the best option you have is called SEPTIC INSTALLATION PROS for septic leach field repair in Orange County NY..
We’ll find out where your leach field is leaking, ruptured, is contaminating, or any other issue you may have. We’ll make sure you have the right chambers installed correctly, leading to an efficient leach field that will last. Before you get roped into replacing your tank or even digging up the entire system, let us diagnose and repair your leach fields the easy way. ​When you need your septic distribution box, or D Box, installed it must be done right to ensure that it will avoid issues. The D Box is where the different effluents are separated and distributed through the correct pathways. If your system drains wastewater that is full of water and soapy residues, it’s going to actually damage your septic tank by killing off the good bacteria that naturally grows and breaks down waste. Even worse if the harmful waste accidentally gets sent to the leach fields. Have your D Box installed with confidence by choosing us! Our team employs a variety of different techniques to test your home for possible septic issues. With professional smoke testing, leaks become obvious, even behind fixtures, walls, and ceilings as smoke is safely administered throughout your home. Dye tests are employed to find leaks above ground, as a non-toxic fluorescent dye is added to the system to see where the leaks are most prominent. Dye tests are usually a routine occurrence for regular maintenance options, and may actually be required by some agencies. Perc tests is a technique used for leach fields to see just how much waste your leach field soil can absorb through natural percolation. By putting the ground through a testing process that involves flooding specific points, we can pinpoint areas that are oversaturated or aren’t taking on waste water as they should. This is an important service in Ulster County and Orange County NY. ​If your home has plumbing below the property line, chances are your septic system uses an ejector pump to prevent backups and flooding from taking place. This can be especially problematic in basements which are difficult to drain out manually. Our team can quickly install your new ejector pumps, as well as your pump alarms which will signify when there is a major problem. Another attractive alternative to traditional septic systems is aerobic treatment systems. 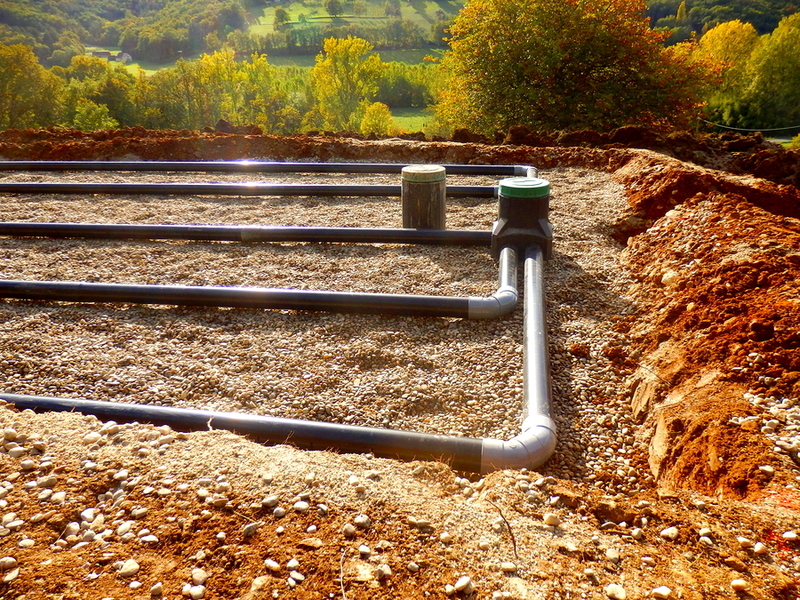 These septic systems use a small scale personal sewage system which produces a secondary effluent which can actually be recycled for reclaimed irrigation. ​Our company has the experience you can depend on if you’re thinking about having an aerobic system installed. When you call Septic Installation Pros, you can say goodbye to your old outdated and potentially dangerous septic system. Add more capacity to your septic system by installing a new concrete septic tank. Our new concrete tanks can last up to 40 years, often more than that! Metal tanks will rot and cave in. It has happened that people have fallen into steel septic tanks because the covers have rotted out. If you have had your steel septic tank for more than 25 years, you really should have us come out and take a look at it. We will give you an honest appraisal as to whether or not you need a new septic tank installed. Your septic system drain field should last between 25 and 30 years if treated properly. Our technicians can let you know if your system needs replacement or repair. Many times we can just repair your septic system saving you money! We can also replace leach fields and make your system run at 100% efficiency.